Preschool Learning Phoenix: When Do Kids Start Preschool? When Do Kids Start Preschool? One of the most frequent questions that we receive from parents in Arizona is, “When do kids start preschool?” While there is no hard and fast rule to determine whether or not your child is ready for preschool, there are a number of telltale signs that can indicate if your little one is ready to take the next step in their education. Throughout today’s article, we will be talking extensively about some of the most important questions you should consider asking before deciding to enroll your child in a preschool or pre-k program. 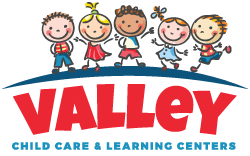 If you are located in Arizona and are in need of the top daycare and learning center services in your area, then look no further than Valley Child Care & Learning Centers. We have played a vital role in helping children receive the education they need to learn and grow with their peers since 1967, and we continue to do so today. With 10 unique daycare and learning center facilities in areas such as Phoenix, Tempe, Anthem, Glendale, and Surprise, we make it easy for you to find the best daycare in your area with ease. If you are considering enrolling your child in preschool, but are unsure if they are prepared in taking the next step, continue reading below to learn more. As we mentioned above, there is no definite age for a child to be ready to go to preschool. Typically, children enroll in preschool or pre-k programs between the ages of two and four. No matter your child’s age, the end goal is always the same: to get your kiddo prepared for their first day of kindergarten! Although the age gap for sending your child to preschool seems vague and arbitrary, there are a number of indicators to suggest whether or not your child is ready to attend the best preschool program in Arizona. Below, we will discuss some of the easiest ways to tell if your kiddo will flourish in preschool. Does Your Child Get Separation Anxiety? One of the biggest problems that children have while attending their first day of preschool is feeling alone once their parent has dropped them off. Separation anxiety can be problematic for much longer than a day or two, which is why it is important to gauge how your kiddo will do while you are not in their presence. Typically, children that transition from a daycare environment to a preschool environment do much better than children that go directly to preschool. For this reason, it is important to consider whether or not your child will be able to handle being away from you throughout the day. Is Your Child Physically Prepared for Preschool? While many adults don’t understand the physical and mental toll that preschool can have on a child, many children that are not ready for preschool experience this problem firsthand. If your kiddo requires long naps throughout the day, they may not be ready for preschool. However, if your child is used to taking shorter naps during the daytime, they should have no troubles adapting to preschool. From playtime to group activities, there are many ways that your kiddo can become easily tired from daily preschool activities. However, by ensuring that your child is getting a full night’s rest, you can make it much easier for your little one to excel with their peers while attending preschool. Does Your Child Socialize Well With Others? Preschool is a place for children to develop socially, physically, and cognitively, but that development can be seriously hampered if your child does not get along well with others. This is why it is important to socialize your little one as much as possible by taking them to the park, or getting together with a group of your friends and their children as a means to help your little one interact with their peers. This can do much to help your child when it comes time for them to enroll in preschool or pre-k, and will ensure that their earliest years of education aren’t spent getting into confrontations with other students. These are just three of the many questions that you can ask yourself when deciding what age is appropriate to send your child to preschool. We know that you may have additional questions regarding when kids start preschool, which is why we are always available to answer any questions or concerns that you might have. In fact, if you would like to view any of our facilities throughout Arizona, we are happy to give you a thorough tour of our daycare or learning centers so that you can rest easy knowing that your little one is receiving the highest level of education at Arizona’s best preschool program! To learn more, simply complete our contact form located on our website or call any of our locations that are near you! We look forward to meeting you and your kiddo!